Below is our range of Cable Management products, ensuring your cable installations are as efficient, clean and tidy as they can be, both inside and out. From trunking and conduit to ensure the exterior is safe, and visually attractive - to cable clips, ties and grommets, to ensure the physical installation is as it should be - we provide everything you'll need to complete the job. Cable protection, earthing, and connectors are also sold online - and as with all of our products, we offer a one year guarantee as standard. Below is our range of electrical cable clips, with a range for all types of requirements. From telephone cable clips, to bell wire clips, we offer some of the most commonly used items available to buy online in bulk. Additionally we provide the more heavy duty armoured cable cleats, sold in packs of 100, and fire cable clips, also sold in packs of 100. These are essential items for day to day electrical work, so make sure you're stocked up and buy in bulk online today - remember we offer Free Delivery on orders over £49. Here you'll find our range of Cable Connectors, Junction Boxes, Crimp Terminals, Dry Joint Boxes and other cable connectors and accessories. Whatever your requirements for a new electrical appliance, we offer a huge choice of cable accessories to complement your installation. Remember that as with everything in our online catalogue, we provide a minimum one year guarantee on all orders - and we provide Free Delivery on all orders over £49! Take advantage of these offers by placing your order of cable accessories online today! If you need any help or advice with your cable order, give us a call on 0800 970 0966 where one of our friendly and experienced members of staff will be able to provide help and guidance. From rubber cable protectors for covering cables on floors, through to PVC sleeving for adding an extra covering layer on the outside of the cable, both of these methods offer a cost effective method of providing additional protection for your cable installations, whatever the reason or requirement. Most items are kept in stock for immediate despatch - but for any urgent orders, or for any questions regarding a product or your order, you can give us a call on 0800 970 0966 where our friendly and experienced team will be glad to help. Cable Ties are a commonly used item throughout all sorts of trades, from electrical installations to DIY, their strength and ease of use is what has made them such a popular choice for those quick fixes or for keeping cables in place quickly and easily. Available in a huge range of sizes, lengths, widths and colours - blacks, browns and whites - cable ties are hugely popular and are typically sold in packs of 100. Smaller widths are more suitable for holding cables in place, while larger widths are more suited to holding larger items in place. Most of these items are kept in stock for immediate despatch, and are provided with a minimum one year guarantee as standard. Indeed if you've any questions regarding any of our Cable Earthing range, then simply get in touch with us on 0800 970 0966 where our friendly and experienced staff will be glad to help. 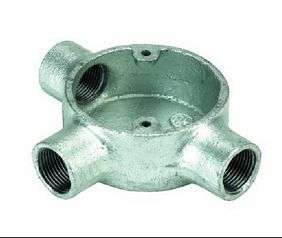 Here you'll find our range of Cable Glands and Armoured Cable Gland Kits all available to buy online - these are offered in both indoor or outdoor versions - we also offer a range of cable glands for fire cables. Depending on your requirements then different cable gland packs are available. Any questions with which product will be most suitable for you? Then give us a call on 0800 970 0966 where our friendly customer support team will be able to help and provide advice. As with all of our products, we provide a minimum one year guarantee on all orders placed online. A range of cable grommets are available to buy online here at Electricals 247 - these are available in either open grommet or blind grommet versions - and can be purchased in varying widths depending on your requirements, with sizes of 20mm, 25mm and 32mm available. 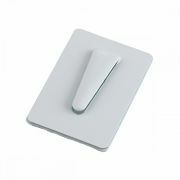 These cable grommets are sold in packs of 10 or packs of 100 depending on the quantity required for your installation. If you're not sure about the cable grommets suitable for your requirements, then give us a call on 0800 970 0966 where our experienced and friendly customer support team will be able to provide expert advice. Below is our range of PVC Trunking and Mini Trunking Entry Boxes. 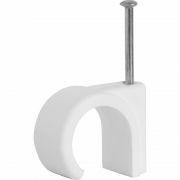 These are manufactured in high quality white PVC, ensuring installation in homes or work places is easy and remains with the style of most modern buildings. The plain white appearance is subtle and ensures cable installations can be clean, tidy, and not look unsightly. 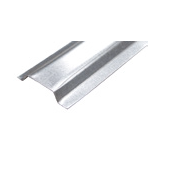 Available in a wide range of widths, lengths and depths, we offer PVC trunking which will be ideal for any requirement. Remember that if you're not happy with your product, we offer a 30-day Hassle Free Returns Policy - so order in confidence today! Below is our range of cable management trunking and conduit, perfect for keeping cable tidy and secure around the perimeter of a room. Available in varying colours and styles, this range of conduit and cable trunking is offered in two different finishes - White PVC, ideal for domestic installations where a modern and clean feel is required - and heavy duty Metal, using galvanised steel or aluminium, ideal for commercial or warehouse use; or for use in areas where damage is more likely to be an issue. Click on any one of the categories below to filter your product search further - and keep your cable installations clean and tidy.